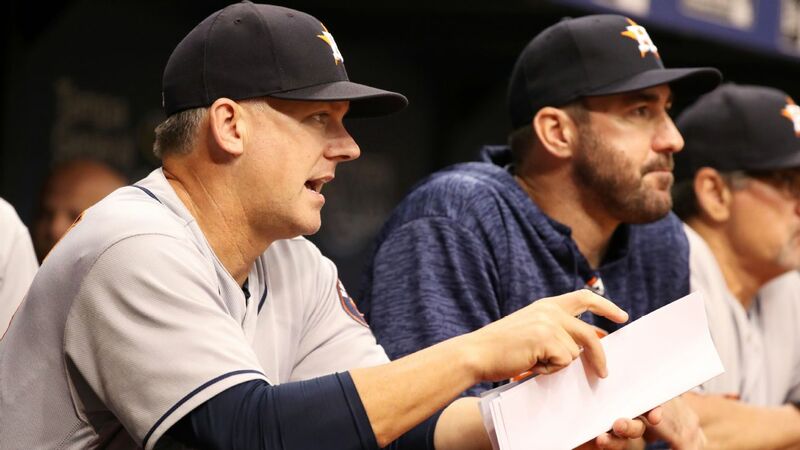 WEST PALM BEACH, Fla. -- Houston Astros manager AJ Hinch called umpire Angel Hernandez "unprofessional" and "arrogant" after being ejected in the first inning of Friday night's split-squad game against St. Louis. From the dugout, Hinch said he yelled to Hernandez that he'd used up his allotment of missed calls, prompting the ejection. First-base umpire CB Bucknor attempted to intervene, but Hinch wouldn't leave the plate area for more than two minutes. At one point, Hernandez clapped his hands as if to say, "Let's go, argument over." At one point during the argument, Cardinals starter Daniel Ponce de Leon elected to throw a warm-up pitch, doing so while Hinch stood in the right-handed batter's box, his back to the plate. Hinch stopped to talk for several seconds with third-base umpire Mike Estabrook on his way down the left-field line to the Astros' clubhouse. 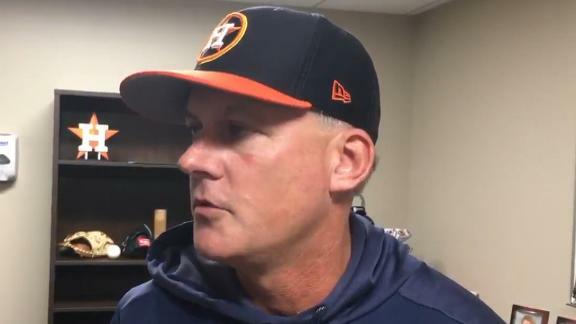 AJ Hinch reacts to being ejected after one pitch in the bottom of the first inning and says ump Angel Hernandez's ejection was ridiculous.